We are the fundraising arm of Escuela de la Calle, an organisation that operates a Street School and Children’s Dormitory in Quetzaltenango. We don’t just support these projects- we are these projects and have been for over 20 years. Asociación Escuela de La Calle (EDELAC) is a Guatemalan-registered, non-profit organization that has been combating the phenomenon of children living and working on the street since its establishment in 1995. EDELAC is run by a Guatemalan staff of teachers, social workers, and psychologists who are in turn supported by foreign volunteers. 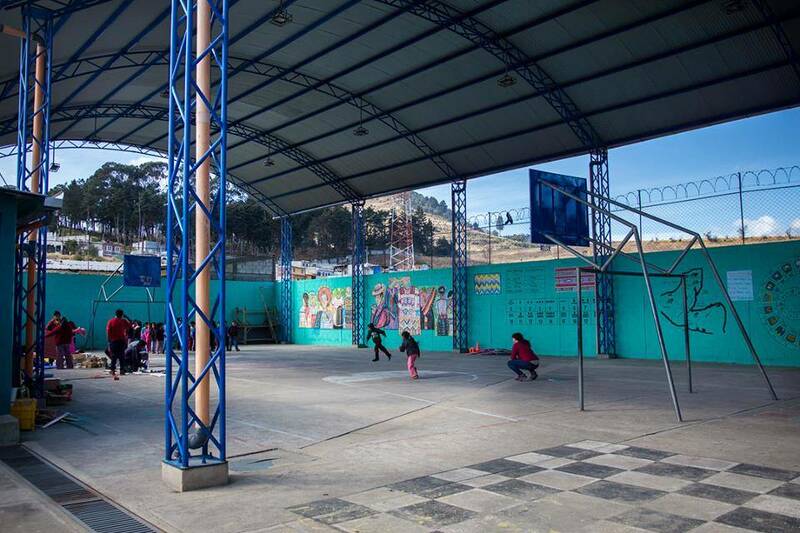 The centre-piece of EDELAC is its school located in Las Rosas, an impoverished neighborhood on the outskirts of Quetzaltenango where many street children originate. The school provides accessible and comprehensive education to over 160 street children and children-at-risk between the ages of 5 and 15. The majority of the school’s student body is of indigenous descent and the children usually come from a background of family disintegration, violence, and poverty. The children are taught traditional subjects such as maths, reading, and writing in addition to receiving education in indigenous languages, children’s and human rights, democracy, participation and ethics. Through the school, students are provided with free medical and dental care. The school also actively works to involve parents – many of which are unfamiliar with and resistant to the idea of schooling – in their children’s education. Through workshops, courses, and conversations, the school promotes stable, nurturing family environments and broader community-building. In addition to the school, EDELAC operates the Hovde House (formally Hogar Abierto) – a children’s dormitory that acts as a long-term home for 20 adolescents between the ages of 7 and 18. Most of the young residents have a sad story to tell; many were forced to leave their family because of poverty, domestic violence or sexual abuse; others lost their parents in accidents, in the civil war or because of illnesses; others were simply abandoned by their parents. The Hovde House offers these children a safe, drug and violence-free environment with round-the-clock supervision and support. They are provided with meals, clothing, education, medical care and psychological attention to equip them with what they need to successfully re-integrate as functioning, responsible members of society. At Quetzaltrekkers, we spend a lot of time with the kids from the Hogar: playing futbol every Wednesday and eating dinner together every Thursday night, taking special trips on weekends to the beach, movie theater, or even Semuc Champay, and helping the kids to learn how to swim or speak english. So much time with the kids allows the guides to develop meaningful relationships with the kids from the Hogar, which can be one of the most rewarding part of the job. 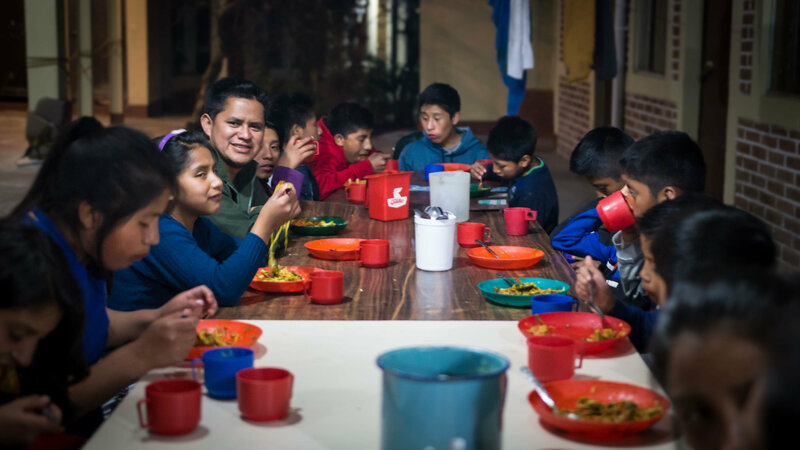 Thanks to the work of Quetzaltrekkers, EDELAC is nearly financially self-sufficient. In 2016, money raised solely through our treks covered nearly 71% of EDELAC’s total operating budget, paying for teacher salaries, school supplies, and administrative costs, among many other things. The remainder was made up by the generous donations of individuals, companies, and international NGOs. For further information about EDELAC, visit the website.